It is time to prepare for the 2018/2019 Off-Highway Vehicle (OHV) Grants and Cooperative Agreements Program (Grants Program) grant cycle. The workshops, with a fresh and new look, are scheduled the week of January 7, 2019. 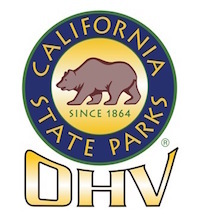 They are designed to get you ready, prepared, and informed for the upcoming OHV grants cycle. The two-day workshop, one held in Southern California (Pomona) and one held in Northern California (Redding), will be two full-day sessions. Please see the attached agenda for the information on the workshops. Regulation updates will be covered on Day 1 and are a very important portion of the workshop for all attendees. Although attendance is not required to participate in the Grants Program, the OHMVR Division encourages applicants to attend, as the workshop provides valuable information. NOTE: Attendees are responsible for making their own hotel accommodations. Please submit your RSVP by close of business Wednesday, January 2, 2019. Updates regarding the workshops will be provided as necessary on the OHMVR Division’s website at www.ohv.parks.ca.gov.